Visit Mammut's Vader Alpine page. 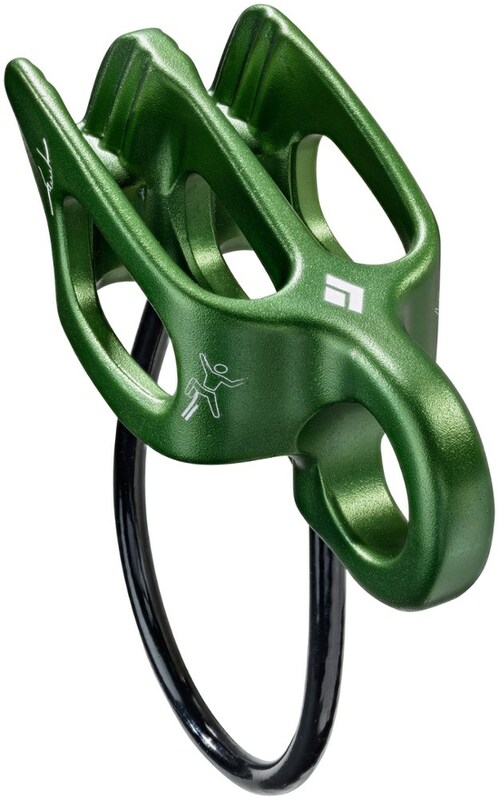 Using the tubular principle for Alpine climbing, the Vader Alpine belay device provides the versatility you need for normal body belaying or for belaying someone from above. 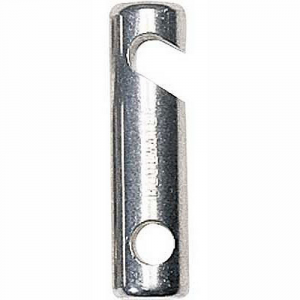 Controlled feeding is produced by the large eyelet and sling design and Labyrinth V-shaped grooves provide excellent braking action. On Sale. Mammut Vader Alpine Belay Device DECENT FEATURES of the Mammut Vader Alpine Belay Device Safety device based on the tubular principle for Alpine use with maximum versatility for belaying from above or normal body belaying Comfortable belaying, a large eyelet combined with a sling permits controlled feeding Convenient handling for belaying with excellent braking action even at low manual forces thanks to the Labyrinth V-shaped grooves The SPECS Weight: 70 g ALL CLIMBING SALES ARE FINAL. 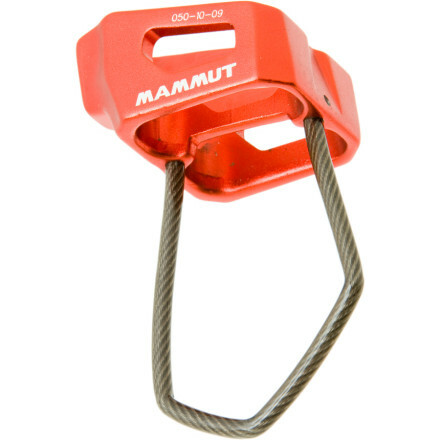 The Mammut Vader Alpine Belay Device offers a simple but versatile tool to invaders of mountains and ice alike. Labyrinth v-grooves maximize manual braking power when your partner whips off a runout draw. 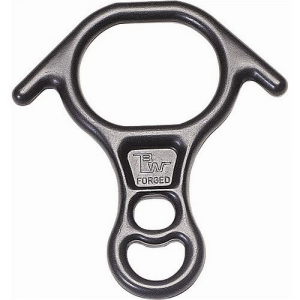 The Vader accommodates a double, single, or half, and the large eyelet and sling design ensure controlled feeding so your second gets a smooth ride or you get a smooth rappel. 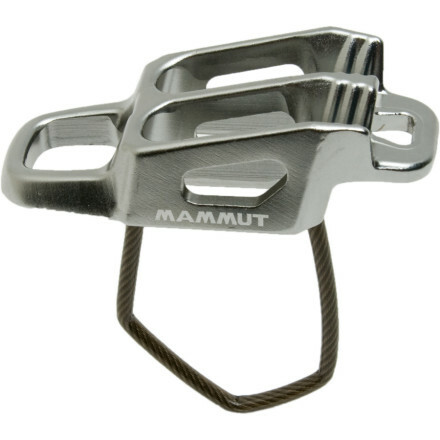 The Vader Alpine Belay Device by Mammut provides belay and repelling safety based on the tubular principle. 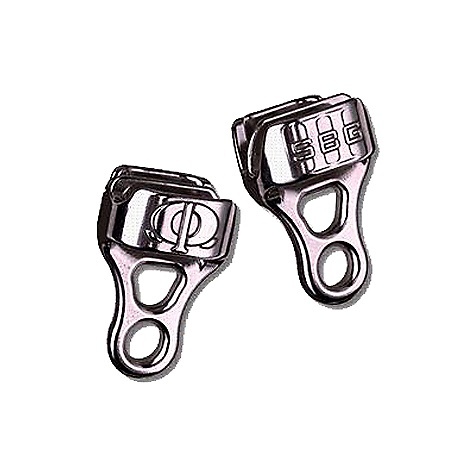 Designed for Alpine use with maximum versatility for belaying from above or normal body belaying, this comfortable belaying device features a large eyelet combined with a sling that permits controlled feeding. 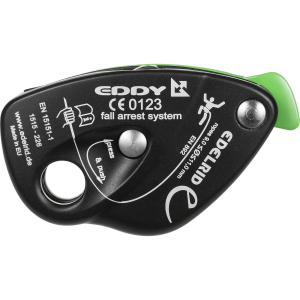 The Vader Alpine Belay Device offers convenient belay handling with excellent braking action even at low manual forces thanks to the Labyrinth V-shaped grooves. The Mammut Vader Alpine is not available from the stores we monitor. It was last seen July 9, 2013	at Campmor.